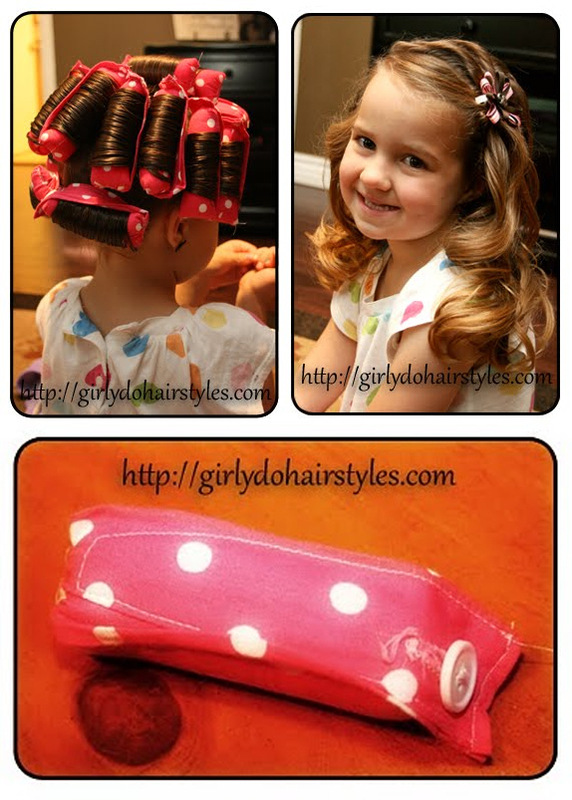 Grosgrain: DIY Fabric Curler Pattern for Girls: No Hard Plastic! DIY Fabric Curler Pattern for Girls: No Hard Plastic! Check out these homemade curlers from Life with Monkey. They're great for kids because there are no hard plastic frames. Get the pattern and tutorial here. Image via Girly Do Hairstyles. Get some of her useful tips in her post. This would also make really cute home made gifts!